Karambit United Cutlery Honshu Ninja Gold Stonewash Finish(UC3131) Knives, throwing knives, fantasy knives, movie knives, tactical knives, hunting knives, etc. Honshu continues its innovative vision with this stylish reinterpretation of its original best-selling karambit knife. 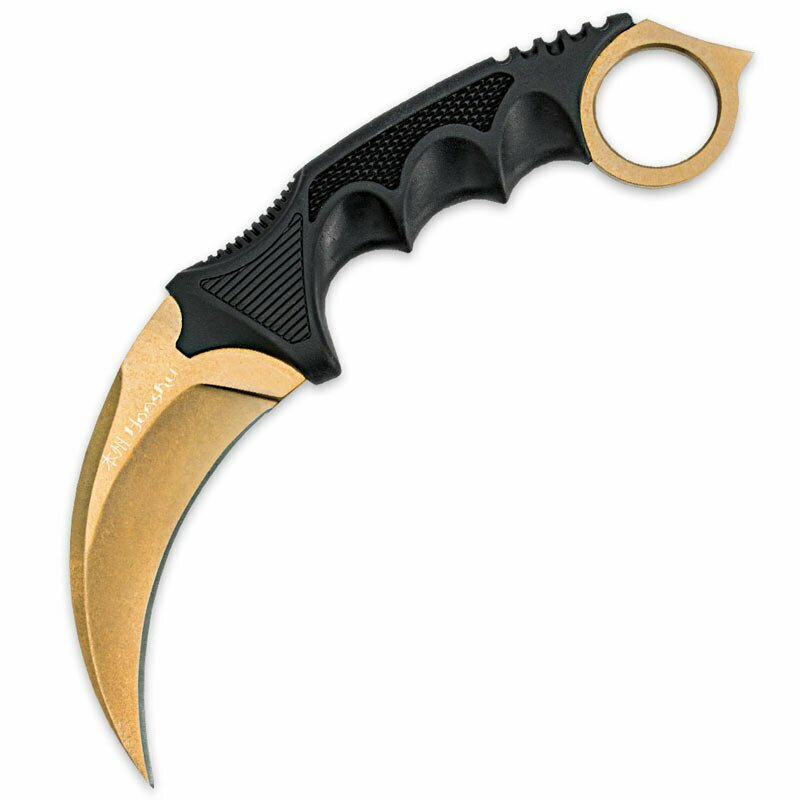 It's the same size, shape and weight as the original Honshu karambit knife with a sleek, modern gold stonewash finish. The 4" blade features a fierce curve with a sharp edge and piercing point for deep penetration. The ergonomically contoured handle features three finger notches and a slip-free rubberized grip for supreme control as you wield this fierce blade. The open-hole pommel also features a spiked end with crushing capability. A shoulder harness is included, allowing you to carry this karambit in true ninja fashion.